The YouTube algorithm determines which videos users see on their home pages, in their subscription boxes, and as recommendations. It also decides how high your video ranks in the search results and on the trending page. Therefore, the algorithm is extremely important to creators like you. While no creators know exactly what goes into the algorithm, many have experimented and found a few tricks that work well for them. Certain measures ensure a channel’s favor with the algorithm. The most important factor in maintaining your place in the algorithm is to upload consistently. If you miss even a week of your upload schedule, some viewers may not see videos you uploaded after that. So, you need to create and keep a strict upload schedule. Make sure it’s something you can keep up with easily. Though you can post extra videos throughout the week, you should be uploading at the same time and day every week. If you’re worried about missing an upload, plan ahead by pre-filming an extra video or two. Make sure the extra video is evergreen, meaning it can be posted at any time of the year. Keep the final version on a hard drive so you’re ready to upload it quickly if you need to. Upload videos that are at least ten minutes long. Increasing your watch time also gains a video favor with the ranking algorithm. The sweet spot for many creators is ten minutes long. If a video is about ten minutes long, then viewers are likely to watch the whole thing without clicking out. If your viewers ask for longer videos, then you should deliver. Try out different video lengths and see how long they stay tuned. The longer they’re watching, the more watch time you’ll have. 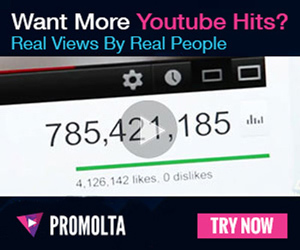 Then, your videos will rank higher in the algorithm. Keep viewers on your channel longer with playlists. The algorithm also takes session starts and session ends into account. This means that you want more viewers to start their visit to YouTube on your channel and end it there as well. Ideally, they’ll spend their entire visit watching your videos. Playlists help keep viewers on your channel for much longer. Organize your past videos into general playlists, series, etc. Whenever you upload a new video, add it to a playlist right away. Put the links to related playlists in your video descriptions. You can also tell your viewers in the video that you’ll be linking a playlist for them below. Increase your viewer engagement by asking them to comment. Viewer engagement shows the algorithm how much people enjoy your content, which makes it more likely to be recommended to other people as well. Comments are one of the best forms of viewer engagement. To get your viewers commenting, ask them specific questions in each video. Remind them to comment their answers. You can even ask several questions throughout. To further increase your viewer engagement, reply to their comments. Try to get a discussion going if you can. Conversation leads to both more comments and a stronger bond with your viewers. Remind your viewers to like your videos as well. A video’s like count also shows the algorithm how much people enjoy it. So, your call-to-action should include a reminder to like your video. Like challenges are a fun and easy way to get viewers leaving a ton of thumbs up. Give them a specific number of likes to reach and challenge them to beat it. You may even promise a special video or another reward if they conquer your like challenge. Mykie from Glam & Gore promised her viewers this video if they got a previous video to 200,000 likes. When they rose to the challenge, her viewers were rewarded with the hilarious content they’d been asking for. Concentrate on getting maximum views the first day. High view velocity will also help your videos rank higher in the algorithm. The first few hours after you upload are crunch time. You want to get as many views as possible as soon as you upload. Find a time when many of your viewers are able to watch a new video immediately. You can find this out with a poll on the community tab. Keep in mind that, if a lot of your viewers are in a different time zone than you are, you may be uploading at an hour that feels strange to you. Another way to get viewers to watch as soon as you upload is to keep them updated on your upload process. For example, when Shane Dawson’s long-awaited conspiracy video took a lot longer to upload than typical videos, he let his viewers know it was going to be up later in the day than they expected. You can also encourage your subscribers to turn on your channel’s post notification bell. Then, they’ll be notified as soon as you upload a new video. You can do the same with other social media, hyping up each new video as much as possible so your fans know there’s new content to watch. The algorithm focuses on channels more than individual videos, so, overall, consistency is key. Keep your upload schedule strict. Only upload videos that are more than ten minutes long. Continuing engaging with your viewers and hyping up new videos as much as possible. Though there’s no guaranteed way to find absolute favor with YouTube’s algorithm, you can get your videos in front of more potential viewers with these hacks. If there’s an algorithm hack you’ve found success with, share it in the comments!